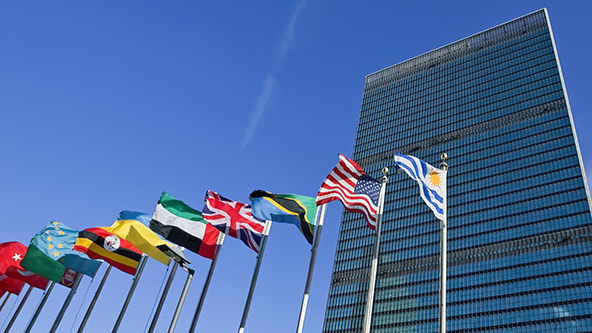 An upcoming meeting announced by the United Nations Economic Commission for Europe (UNECE)—a regional commission of the United Nations which covers 56 European countries and North America—could impact future adoptions of GHS in the U.S., Canada, and Europe. The December 9, 2015 meeting will involve UNECE’s Sub-Committee of Experts on the Transport of Dangerous Goods (TDG) and its GHS Sub-Committee to address areas of common concern including labelling, documentation issues, and standards around corrosive criteria. UNECE will invite experts to submit documents to be considered for this meeting until September 4, 2015. This announcement is important because it provides strong evidence that GHS is still evolving, being defined and redefined, and being interpreted at the highest levels. As UNECE notes, GHS is now on its sixth revision (which is scheduled to be published later this year). Under Hazcom 2012, the U.S. is aligned to the third revision of GHS, which the UN originally published in 2009. However, industry observers expect OSHA to align to new GHS versions on a regular basis, perhaps even as aggressively as every two years. These realignments have the potential to result in new regulations, additional hazard classifications, and other changes. It’s important to note that this occasional realignment does not mean that businesses should stop and wait for the next revision before taking steps to come into compliance. To the contrary, it is vital that businesses cultivate a compliance plan that gets and keeps the business up to date on GHS and prepared for any future changes. GHS is a “living document” that is evolving and is going to keep evolving. Going forward, businesses will need to view staying in compliance as part of a process that involves staying updated on new regulations and being ready to make changes as GHS realigns. For example, the sixth revision of GHS is expected to include a new hazard class for desensitized explosives, a new hazard category for pyrophoric gases, new provisions for hazard classes like explosives, new information to be required in section 9 of safety data sheets, and new precautionary statement requirements. OSHA has strongly hinted that it intends to realign to this sixth revision in its next version of HazCom. To learn more about UNECE’s meetings and procedures related to the continued interpretation of GHS, you can visit their dedicated website here.